BEST Childcare App that does EVERYTHING for your Centre/Service. And it's all for FREE. It's FREE. No need to pay for an App anymore. GET MY FREE APP NOW !!! My job is going to get a whole lot easier! 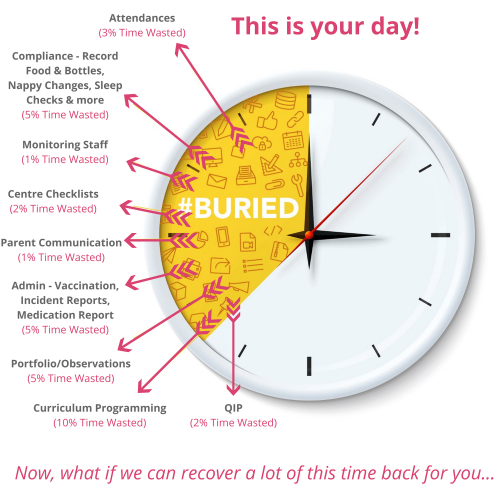 One of the primary challenges for the modern childcare centre is ensuring that it remains compliant with regulations, meaning that staff must always do absolutely everything they can to keep detailed records of day to day events, routines and procedures. As we all know, this isn’t always easy – and most of the time, staff, management and parents alike struggle to keep fully on top of all the relevant requirements that must be collected and stored. But with the help of our childcare app, things quickly become much easier for everyone involved. 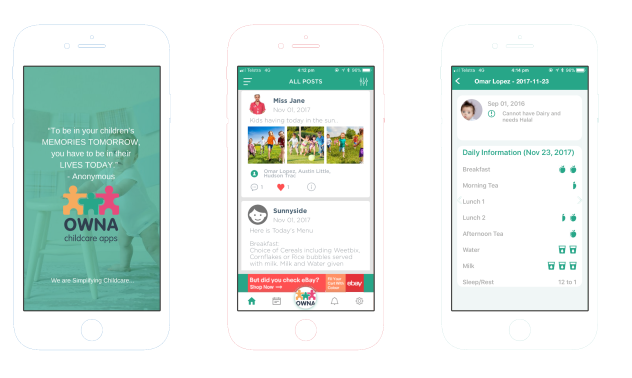 With the app, every time an educator changes a child’s nappy or puts a child to bed, or witness a child eating a meal they’ll be able to quickly and easily record the information, which will then be securely stored for the mandatory seven years. 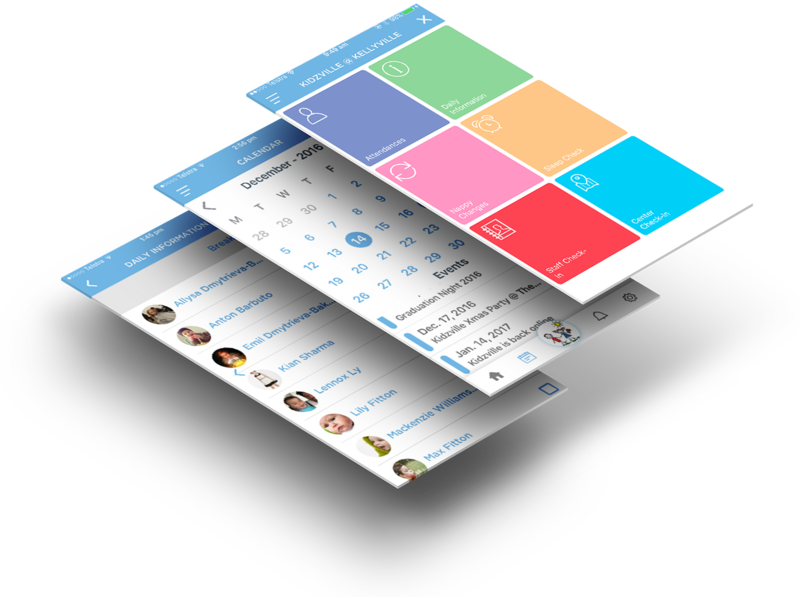 Not only does this make the lives of educators/childcare staff easier, but it also makes things a lot easier for management, who can effortlessly monitor what’s happening throughout the whole centre at the touch of a button. And for busy parents who often find themselves forgetting to check their child’s information sheet when they pick them up at the end of the day, an interactive app makes it possible to access all the relevant information from a smartphone or tablet on-the-go, at any time and in any place with access to the internet. 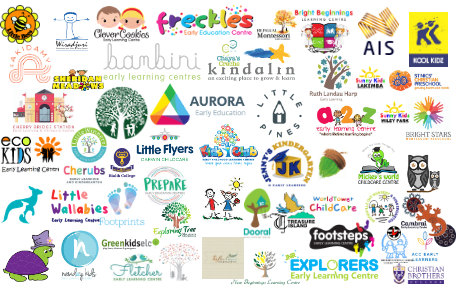 Here at OWNA, we understand that each and every childcare centre is slightly different, both in terms of image/branding, and in terms of important policies, procedures and general approaches. This is why we’re committed to providing fully bespoke, comprehensive apps which are custom-designed to fit the specific needs of each individual customer. When you choose to use our services, you’ll be provided with a dedicated professional who will work closely with you to gain a thorough understanding of your particular business and the challenges you and your team face on a day to day basis. Then, our highly skilled and experienced team will work to produce a carefully crafted app, made just for your business and incorporating your logo and branding. Any further customisations you wish to make yourself can be carried out using our straightforward platform, meaning you’ll always be able to keep your system updated as your business evolves. Once you contact us and express interest in obtaining your own, bespoke app, we’ll be able to provide an obligation-free online demo that very same day. Then, you’ll have a chance to think about what you’ve learnt and decide whether or not you’d like to proceed. If you decide to, we’ll get to work immediately with crafting your custom app, guaranteeing that you’ll have administrative access within 48-72 hours of first getting in touch. Contact us today to arrange your demo or find out more information. 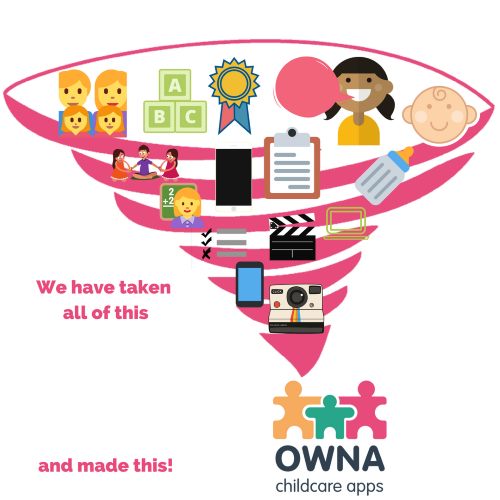 Access to the OWNA Childcare App for FREE with the following features below. Pay for only extra features you want to use. Plus heaps more features. Why would you use another App when you can have this all for FREE. PREMIUM gives you all of the features of FREEMIUM plus a bunch more other cool stuff. You get everything in this package. The Rolls Royce of Childcare Apps!